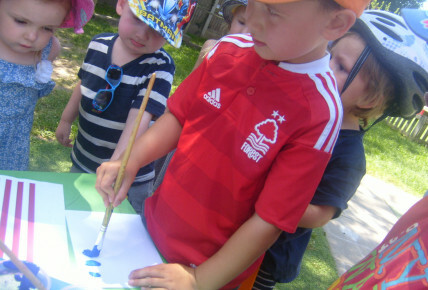 Today the children have been celebrating Independence Day by holding an American themed day whilst in the setting. 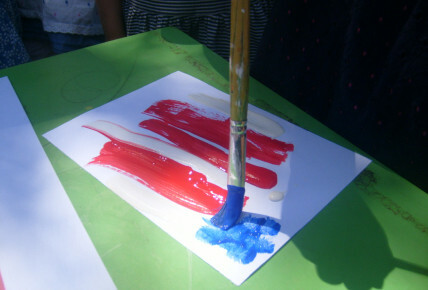 Children were encouraged to dress in Red, White and Blue, Stars or Stripes in aid of the celebration. 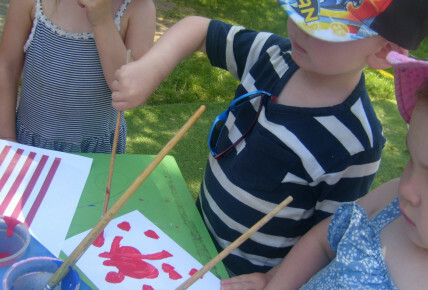 The children made flags using different craft materials, Pre-School have looked at the flag in more detail, using a variety of paints to create the desired effect they needed. Connie our chef didn't disappoint and made hot dogs for tea along with some delicious chocolate brownies! Have a look at what we have been up to!